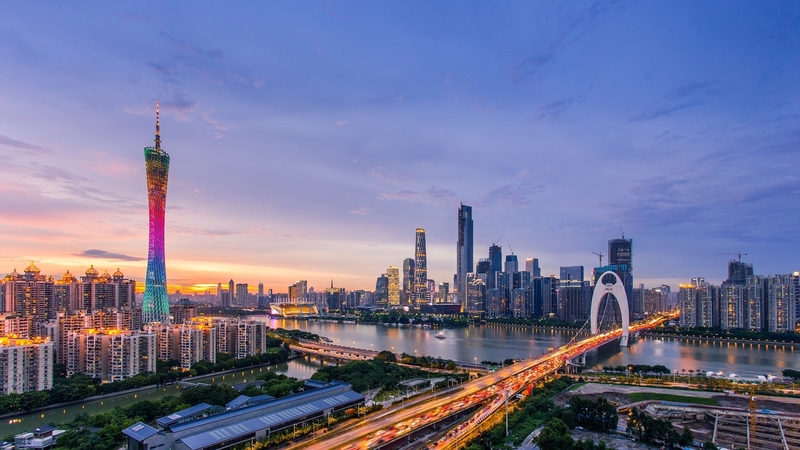 The capital of Guangdong province, Guangzhou, is a vibrant city that is the beating heart of trade, not only in the province, or southern China, but perhaps even the whole of China itself. It’s home to the country’s number one trade fair, the Canton Fair, and has throughout history been a major domestic and global exporting hub. More than just trade, the city is a booming metropolis featuring a modern transport system, modern shopping malls, pedestrian shopping streets along with wholesale markets, nightlife, and some of the finest food experiences that are there to be had. At the heart of the city is Cantonese culture which along with its own unique language it also lays claim to being holding of one the eight famous Chinese cuisines. Cantonese cuisine is a must try. 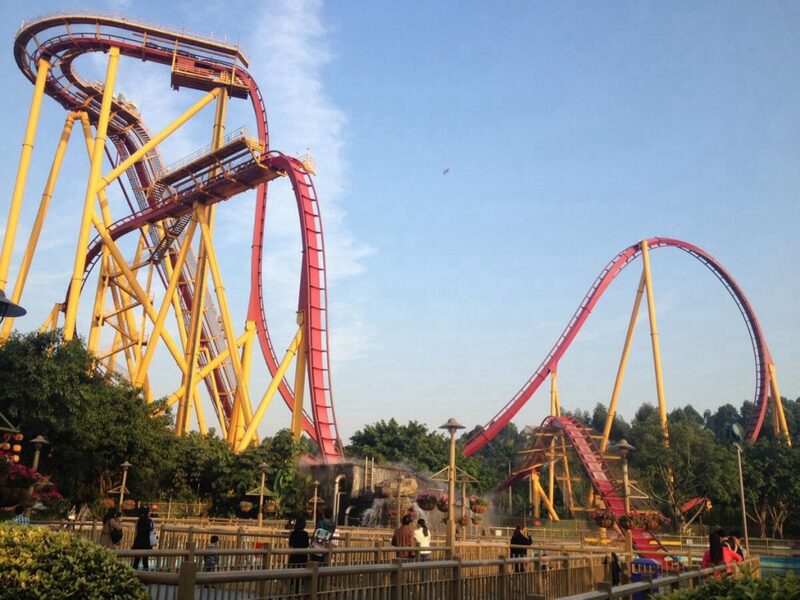 The city is also home to Chimelong Tourist Resort which contains Chimelong Safari Park, China’s largest amusement park Chimelong Paradise, and the Chimelong Ocean Kingdom. It’s also home to the second tallest building in China, and fourth tallest in the world being the visually impressive Canton Tower which also features the worlds second highest observation deck. It’s an observation deck with a difference as you get to travel in one of 16 glass cabins that follow a track around the very top of the building. More attractions in GZ follow. How to get there: Take bus No. 4, 88, 186, 250 or 823 and get off at Ximenkou Station. How to get there: Take bus No. 85, 88, 104, 107, 109, 114, 128, 193, 204, 233, 250, 260, 268 or 286 and get off at Chen Clan Academy Station. How to get there: Take bus No. 9, 38, 105, 208, 219, 236, 270 or 556 and get off at Huangsha Wharf Station. How to get there: Take bus No. 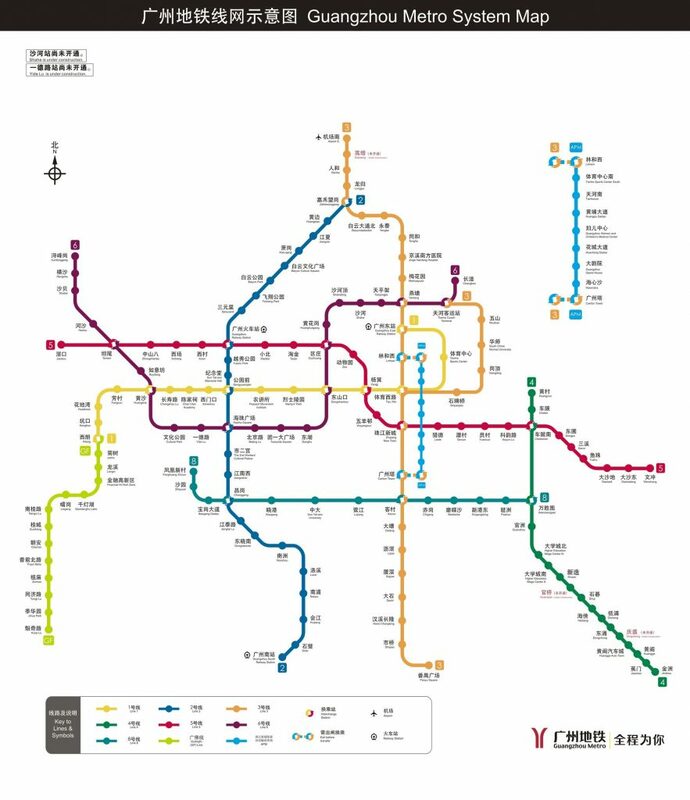 109, 110, 111, 201, 234, 269, 271, 278, 301, 543 or 550 and get off at Yuexiu Park Station. How to get there: Take bus No. 203, 273, 552, 7, 543, 211, 29 or 7 and get off at Jiefang North Road Station. How to get there: Take bus No. 24, 199, 223, 36, 285 or 540 and get off at Yuntai Garden Station. How to get there: Take bus No. 43 or 292 and get off at Xieshan Station. How to get there: Take bus No.4, 8, 61, 82, 238 or 823 and get off at Yide Road Station. I would not blame you if you went to Guangzhou just for the food. Plenty people do! 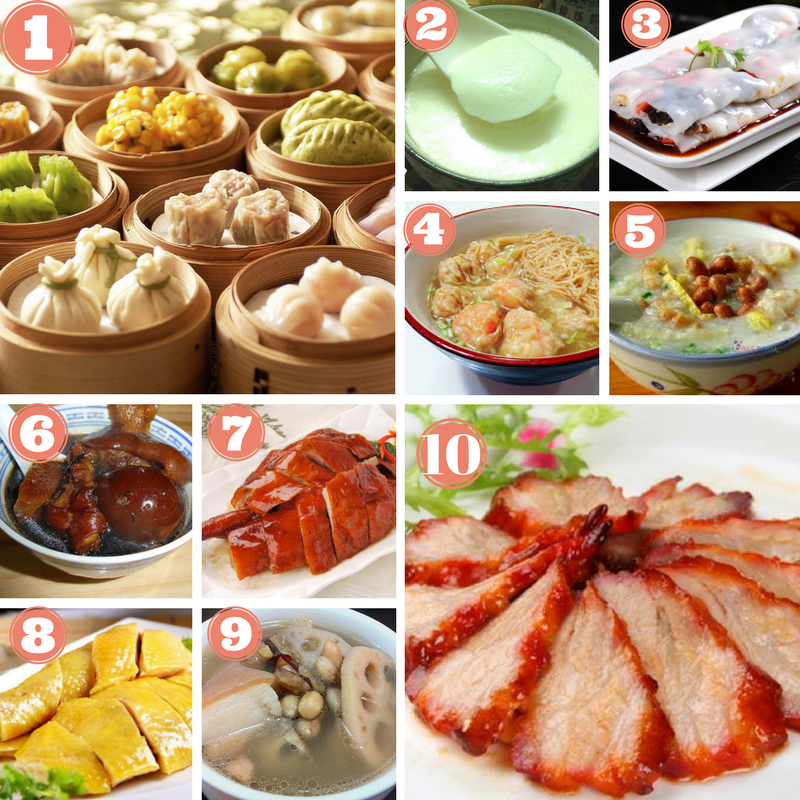 The top foodie areas include Beijing Road which is popular for street food and Shangxiajiu Pedestrian Street the same while also featuring some of the cities top Dim Sum restaurants. Guangzhou Baiyun International Airport (广州白云国际机场, IATA: CAN) services domestic and numerous international routes and is a major airline hub in southern China. The airport is located 28 km (17 mi) north of central Guangzhou and is serviced by Metro Line 3. The journey on Metro Line 3 to the central area (Tiyu Xilu Metro station) costs 12 CNY and takes around 50 minutes. A taxi from the airport to the same area would cost around 120 CNY and also take around 50 minutes. 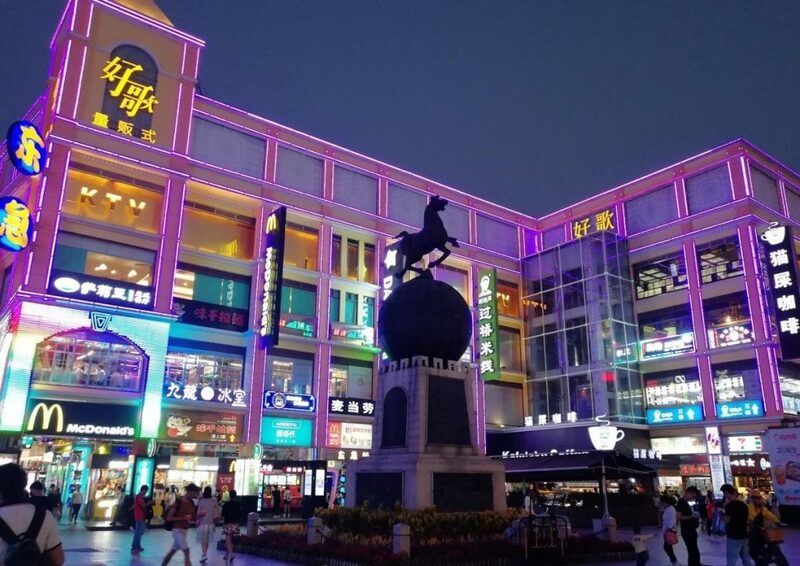 There is also an Airport Express shuttle services, Line 1 is the most popular taking you from the airport to Guangzhou Railway Station at a cost of 16 CNY and about 50 minutes. Guangzhou has four train stations inc. The Guangzhou Railway Station offers fast intercity C type trains to Shenzhen and slower K and Z type trains to places such as Beijing, Chongqing, Shenzhen, Shaoguan, and Maoming. The East Station offers fast intercity C type trains to Shenzhen and slower K and Z type trains to places such as Meizhou, Shantou, Beijing, Harbin, Changchun, Xiamen, Chengdu. The South Station offers high speed rail travel via G and D type trains to places such as Shenzhen, Wuhan, Zhuhai, Changsha, Beijing, Xian, Chengdu, Zhengzhou, Wuhan, and Taiyuan. The North Station offers high-speed trains G type trains to Wuhan, Changsha, Beijing, and slower K type trains to Chongqing, Ganzhou, Hanzhong, Wenzhou, and Zhangjiajie. The three lines are in service between 09:00 and 17:00 all the year round. 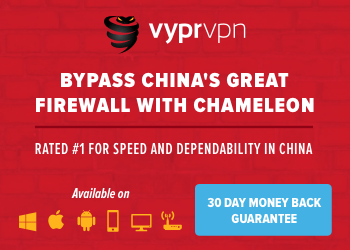 Tickets are 50 CNY and offer unlimited use in 24 hours (hop on hop off).